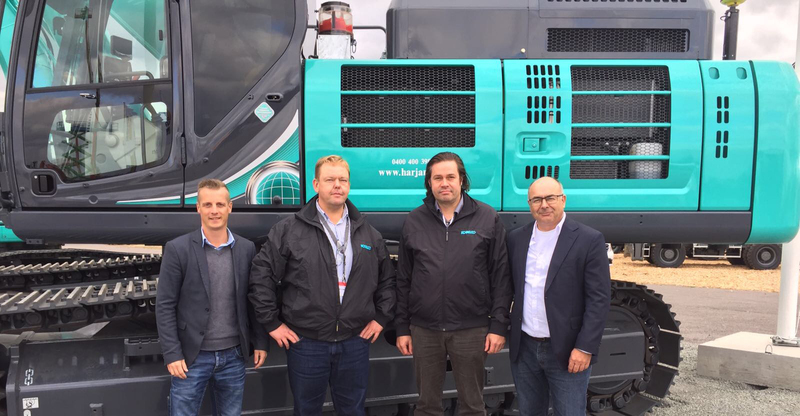 Kobelco appoints new Finish dealer - Kobelco Construction Machinery Europe B.V.
Kobelco Construction Machinery Europe B.V. (KCME) is pleased to announce the continued expansion of its European dealer network with the appointment of KH-Koneet Oy as authorised Kobelco dealer partner. KH-Koneet Oy joined the Kobelco network on 1st September 2017 and will help to improve the servicing of Kobelco customers across Finland. Teppo Sakari, Chief Executive Officer of KH-Koneet Oy said: “Kobelco’s excavators are an excellent addition to KH-Koneet’s existing product portfolio. The partnership with Kobelco Construction Machinery enables us to serve a larger customer base as well as offer a broader product range to our existing customers. Kobelco is a highly regarded brand in Finland and we’re proud to be the authorised dealer partner in Finland”. KH-Koneet Oy specialises in the machinery business and will offer the full Kobelco product range as well as spare parts and service.